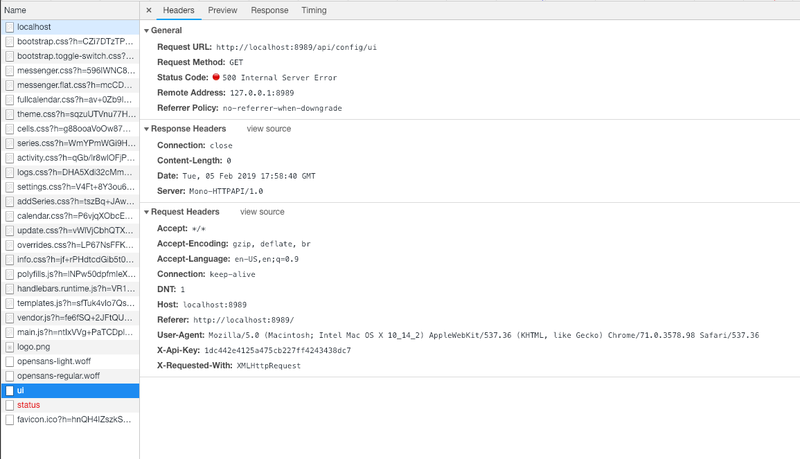 Description of issue: Sonarr is running on Mac mini and downloading, but when loading the web UI, it stops at the floating balls. It’s been running fine for a long, long time and suddenly the web UI doesn’t seem to load. Reboot didn’t help. Stopping and starting Sonarr didn’t help. 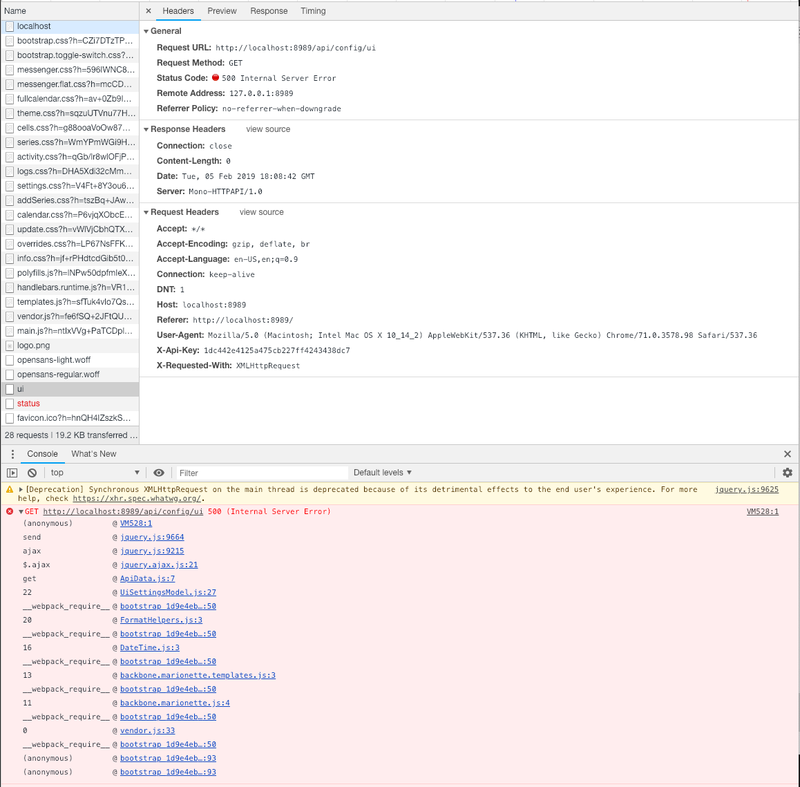 No errors seen in debug or trace logs. Issue happens from Safari, Chrome, Chrome (Incognito), and iOS Safari. I tried a fresh install and still have the web UI hanging at the floating balls. What else should I look at? Chrome Developer Tools? Yeah, check out the Console tab. Also enable trace logging (you’ll need to do this in the config file) and restart Sonarr, then try to hit the UI, that’ll log the API calls made during app loading and may give a clue. Should I pastebin either of those log files? sonarr.debug.txt, too? Trace and debug from when you’re loading the UI would be helpful. You can also check the Network tab in the Chrome Dev Tools to see which request of the 4 above failed. 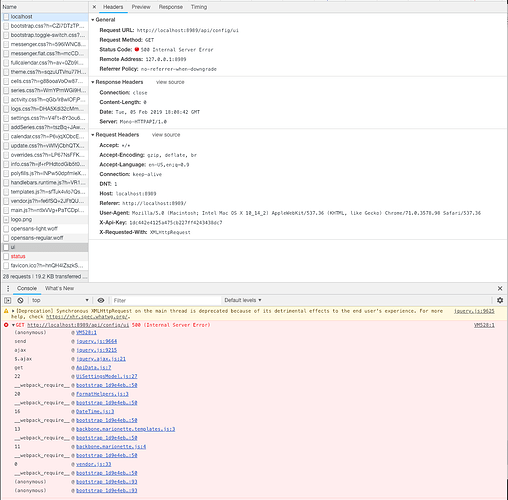 Looks like status also fails in the browser, but succeed according to the trace logs. Is it 3.10 or 4.0.3? Either way upgrade to at least 4.6 before troubleshooting further, but might as well jump to 5.18. Upgraded mono to 5.18 and I’m back! Thanks so much for the guidance. So mono upgrades need to be done manually? Unless there is an updater for macOS, yes manually.